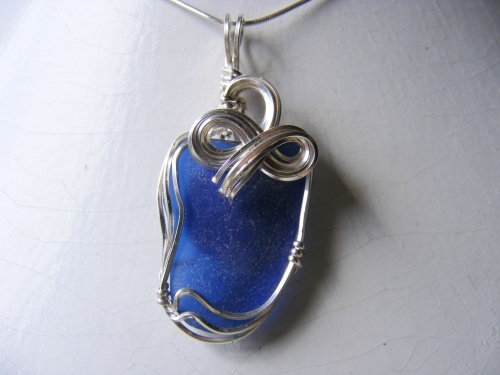 This breathtaking authentic cobalt blue piece of seaglass is for those who prefer medium to smaller pieces. Sculpted with my signature sterling silver bow like design, it measures about 1 1/4" long and a little less than an inch wide. Comes with a sterling silver chain.